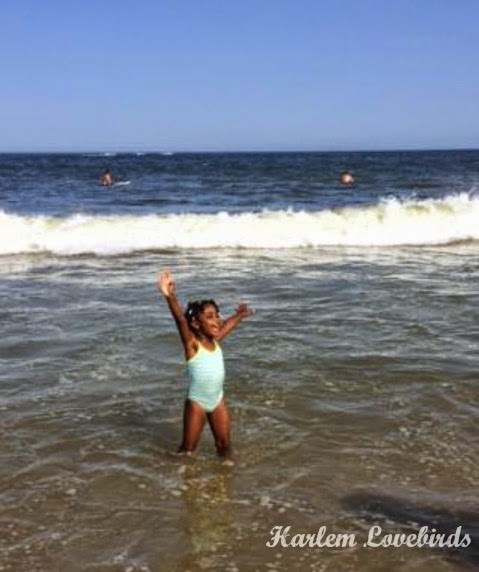 Harlem Lovebirds: Happy 4th Birthday Virginia! I'm telling ya! The qualities that can drive me nuts at times are the same ones I want my daughter to have as an adult: tenacity, curiosity, defiance (to a point!) etc. . . In utero she was much different than her brother and those traits are still carrying on especially her penchant for breaking into a passionate dance whenever a beat drops! We are celebrating her birthday this weekend at a local splashpad/sandbox - her request for a very specific park was answered! I'll pick up a Frozen cake and we'll celebrate with a few of her buddies and my family. 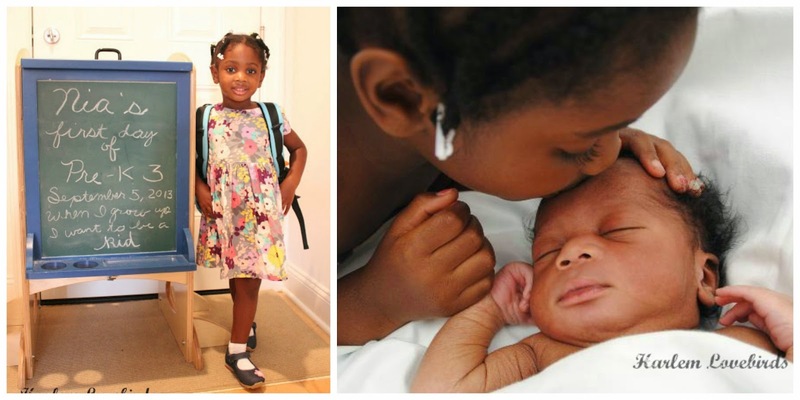 It's been a fun year for Virginia: she started preschool and became a big sister. We have more (bittersweet) transitions coming and I'm approaching cautiously to navigate her through them. Next up? Pre-K 4 in a few weeks. Oh and a funny memory for the day? When she woke up and I sang to her she smiled so big and graciously (the sweetest she's been in about 4 days O_o). She asked, "Am I 4 today?" I answered yes and she replied, "But I don't feel 4!" I then told her I'd confirm by looking in her mouth and she opened wide and I took a peek and proclaimed, "Yep! You're 4!" and she beamed. Do you remember being 4? I have strong memories at that age especially of nursery school. What about you?